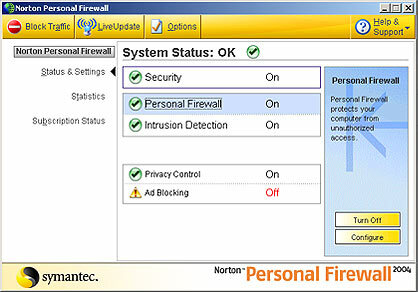 Norton Personal Firewall 2004 settings / configuration for moove online "Roomancer"
The Norton Personal Firewall 2004 is a commercial software that can be bought here (software download or mail order). A free English support can be found here. Choose "Permit" from "What do you want to do?". 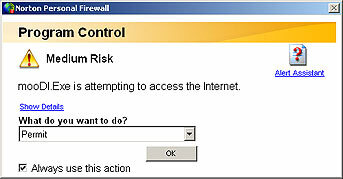 Please make sure "Always use this action" is checked and click on "OK". 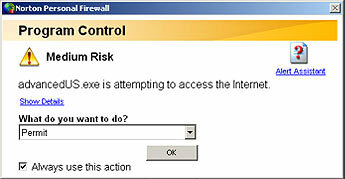 Click on"Configure" to open the following window. Change the security settings to "Medium (recommended)". 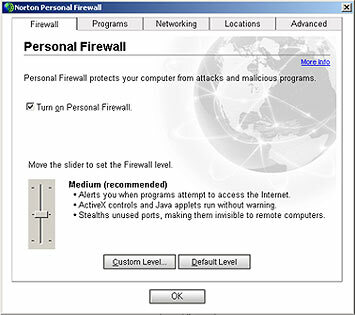 Select "advancedUS.exe" and choose "Permit All" under "Internet Access". Repeat the action for"_adv.exe" and "moodl.exe". You are all set now and other moove online users should be able to visit you. 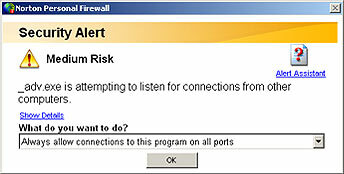 If not, the problem lies elsewhere in your connection: do not use proxy servers with the moove online software "Roomancer" (deactivate proxy servers in your Internet Explorer settings under connection). 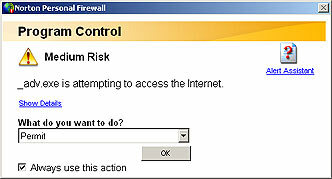 You also won't be able to receive visitors if you share your internet connection with more than one PC (deactivate ICS - Internet Connection Sharing), or if your PC is part of a larger network. Ask your system administrator to make the necessary changes.